In today's Flashpoint Friday I'd like to talk about a flashpoint that I realised I haven't actually done very often (my achievement panel counts 13 full tactical runs and 6 on hardmode). 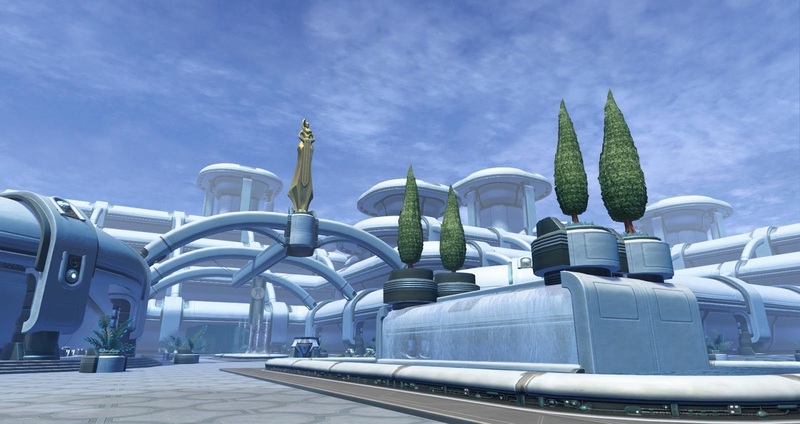 RNG probably has more to do with this than anything else, but it's still a shame - because the more I thought about it, the more I realised that Depths of Manaan is pretty damn awesome. Depths of Manaan forms the second part of the Forged Alliances story arc that leads/led up to the Shadow of Revan expansion and is now labelled in game as "Shadow of Revan: Prelude". 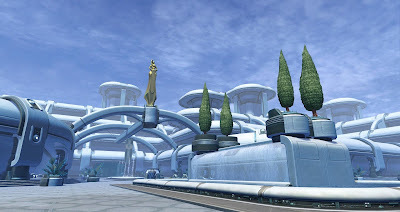 It was released as a max-level (then 55) tactical flashpoint in patch 2.9, which otherwise focused on Galactic Strongholds, in August 2014 and continued the story that had started with Assault on Tython and Korriban Incursion. A solo and hardmode version were added in 3.0 and since 4.0 it's a tactical accessible from level 15 onwards. Depths of Manaan takes places on the planet Manaan (duh), which was literally introduced just to hold the entrance to this flashpoint. It's still nice that you can travel there at any time though - it means that you can commit suicide by drowning in a game where otherwise no body of water ever goes deeper than up to your knees! One can also always hope that Bioware will find a reason to return to the planet and add some more content to it one day. 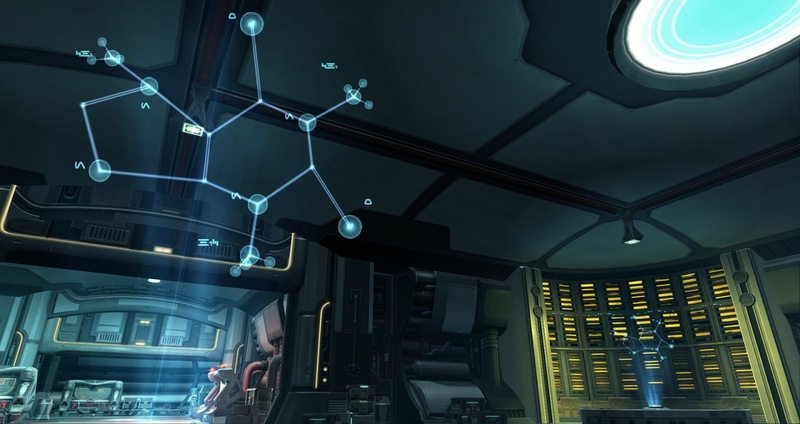 Depths of Manaan takes place in a research facility staffed by droids and Selkaths. Some of the latter are Force users as well! While none of the trash is particularly challenging, it's varied enough and there isn't really enough of it for it to ever get boring. 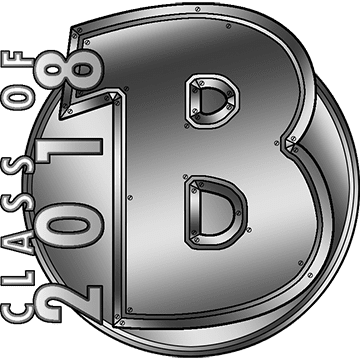 The first half of the flashpoint is also stuffed with kolto barrels, which you can blow up to heal yourself and work towards an achievement that awards a legacy title. I remember when this first came out, every run was a mad dash towards the nearest barrels as they aren't present in solo mode and the achievement only counts barrels that you pop personally. More recently however it always seems like I'm the only one who's interested in them (I'm on 334 out of 500) - has everyone else already got the achievement or am I surrounded by newer players who simply don't know about it? There are three boss fights in Depths of Manaan (plus one bonus boss on hardmode) and every single one of them is fun and interesting. First there is security chief Sairisi, who is accompanied by two riot suppression droids that shield him. You need to first damage the droids to get them to retract their shields to be able to attack the boss, all the while dodging red stuff on the floor and getting knocked about. The real kicker however is the hardmode mechanic that causes the droids to regenerate health and re-shield Sairisi after a while, which requires you to split your damage and take them down roughly at the same time or they'll effectively "take turns" healing up and shielding the boss, keeping him invulnerable permanently. What fun that is in a pug, and I'm only partially joking! Next up we have the infamous Ortuno, one of the few non-ops bosses in the game with a mechanic that is guaranteed to kill you if you mess it up. Throughout the fight he keeps dropping puddles of water on the floor, and every so often he summons a sort of lightning storm that does AoE damage to everyone regardless of what you do, but if you also happen to stand in a water puddle at the time you die almost instantly. Even without the lightning the puddles are bad for you though, because standing in them causes you to periodically get stunned by Ortuno's attacks. Oh, and did I mention yet that he also summons two silver adds after each lightning phase and hits like a truck? Seriously, what's not to like about this guy? The last boss, a cyborg Selkath called Stivastin comes with a shield that absorbs a huge chunk of damage and can only be broken by leading him under the spouts of flame that periodically erupt from the ceiling. There are also adds and a kick mechanic that messes with the aggro table. Funnily enough I remember this boss being super annoying on solo mode because the Jesus droid would always taunt him, making it impossible to lead him towards the flames to pop his shield. 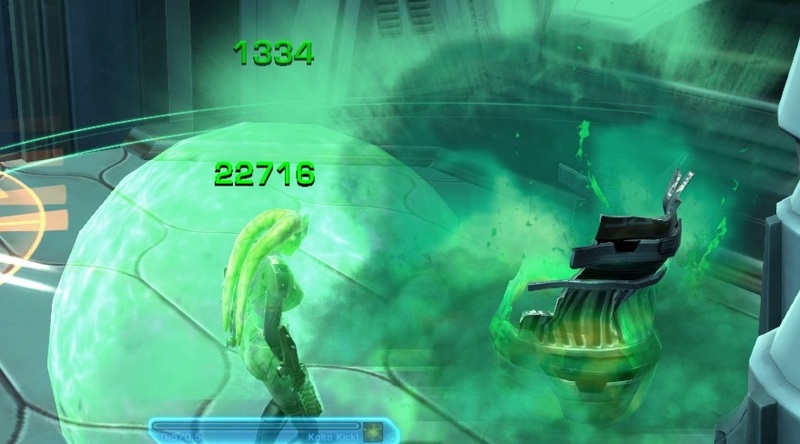 At the same time, the droid still did enough damage that he would get the boss down in time despite of the shield, but it was slow and boring. Interestingly, when I did a solo mode run before writing this post, the Jesus droid did not taunt Stivastin anymore and I was able to kite him wherever I wanted him to be. Seems they improved his AI. The fight also has an interesting enrage mechanic, as you have five minutes before the whole building (supposedly) gets destroyed, so if you take too long, the fight resets. The bonus boss is another masterpiece of encounter design, unique and difficult, but just about manageable even in a pug if you can get everyone to understand the tactics, follow them and communicate if necessary, which admittedly is no small task for a pug. The boss is a droid who summons a steady stream of explosive drones that float along the narrow corridor in which the fight takes place and can be dodged, though only with a lot of care. However, every so often a moment will come when you face a row of drones that you cannot fully avoid, requiring someone (usually a dps) to run in and "pop" one, taking huge damage in the process but freeing a path for the rest of the group. Said person is also debuffed by this, so the next time you get trapped, someone else needs to go and "sacrifice" themselves to a drone. I always find this fight simultaneously nerve-racking and exhilarating. The first part of Forged Alliances ended with both factions having assaulted the home world of the enemy Force users and having successfully repelled an attack on their own. However, on both factions one of the people that interacted with you during the story mission found the odd timing of those events very suspicious - and eventually either Theron Shan (for Republic players) or Lana Beniko (for Imperials) asks to meet you on Manaan to follow up on a lead they've discovered. 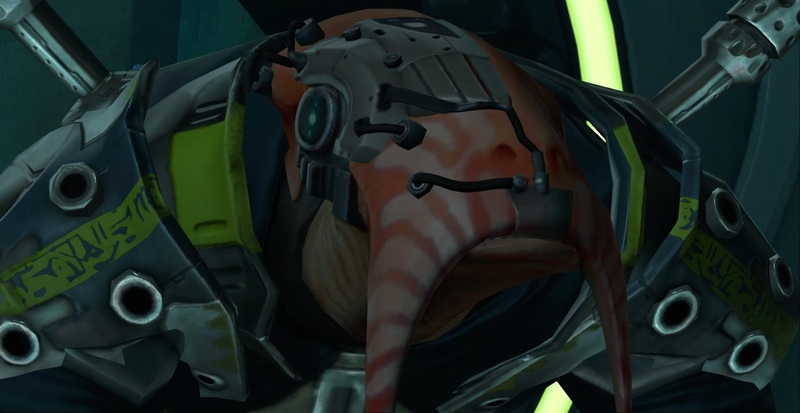 They've found out that Colonel Darok and Darth Arkous, the other two people involved in part one and the ones suspected of fishy activity, have been meeting in a secret research facility on the ocean planet Manaan. (Fishy indeed!) Your job is to go in there and find out what's going on, while Theron/Lana plans to meet a mysterious contact. 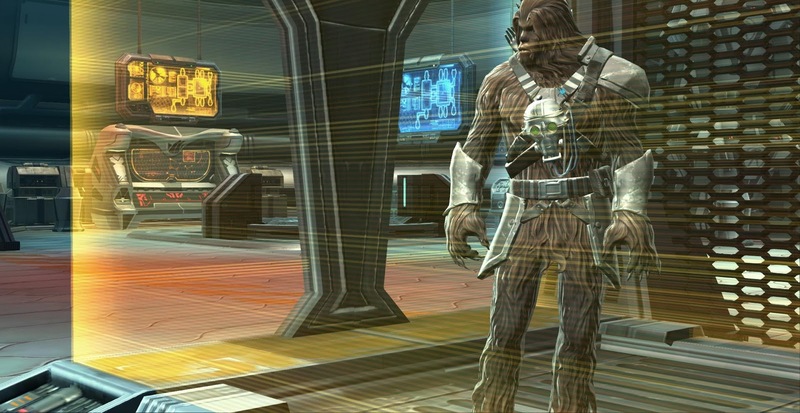 You soon find an imprisoned wookiee smuggler called Jakarro and his partially disassembled droid C2-D4. They tell you that they were originally hired to bring in medical supplies but were then captured and interrogated, with a threat of being used as guinea pigs for some sort of experiment looming in the near future. You agree to free them because... why not? My enemy's enemy is my friend and all that. Theron/Lana stays in touch throughout via voice communications, until he or she suddenly has to go and gets replaced by their mysterious new contact - which turns out to be the other faction's quest giver. Eventually you find a laboratory where a Selkath scientist is building a bunch of cyborgs, claiming that they are going to become a new breed of super soldiers due to implantation of Rakata technology. Jakarro recognises the scientist as the one who wanted to experiment on him and jumps to shoot him - you can let him have his revenge or talk him out of it. In a small room overlooking the laboratory you find Darth Arkous and Colonel Darok working together. You can demand answers from them but they only give cryptic responses about how their work is bigger than any of you and soon make their escape. On the way out they bomb the building, causing it to slowly sink to the bottom of the ocean. Lana or Theron informs you that all escape pods have been jettisoned but that a little emergency vehicle is in place if you can only reach it. Unfortunately the lab is sinking quickly, and the cyborg that the scientist was working on earlier has also woken up and wants to tear your limbs off. Once you defeat him, you realise thanks to a quick holo conversation that your new contact is of the enemy faction - you can express annoyance with that, but ultimately following their guidance to your escape vehicle takes precedence. In the debriefing afterwards you meet your new contact in person and it's revealed that apparently Arkous and Darok work for the Revanites, a known Imperial cult that worships Revan. What exactly they are up to however remains unknown. Theron, Lana and Jakarro are going to do all they can to find out more. I think what initially brought my opinion of this flashpoint down a bit was the character of Jakarro (and his droid). I suppose they are meant to be a comedic duo, but personally I just found them slightly annoying. Plus they are a prime example of the Star Wars Expanded Universe's strange habit of taking all kinds of details from the original trilogy and replicating them to the point of absurdity. It's as if someone looked at the section in Empire where Chewbacca carries a broken C-3PO around and went: "Oh man, we need a wookiee with a broken droid attached to him... all the time!" The result is just bizarre. Nonetheless my attitude towards them has mellowed somewhat over time and ultimately they can't detract from the fact that Depths of Manaan is just a great flashpoint. I remember absolutely hating this one when it first came out, but I've since come to realise its potential. I like the Sairisi fight in HM as it forces DPS to coordinate (something not all Flashpoints do), M2-AUX is a fun challenge (particularly as a Gunslinger!) and Stivastin being on a timer is fantastic. The thing I used to love most about this Flashpoint was actually encountering the M2-AUX out in the open; he's the droid that one loader droid right at the back is hiding from, and it's downright adorable. Addendum: they sadly have since removed the M2-AUX from his position outside now, but the droid hiding from him was an interesting "forewarning". Do you remember why you hated it at first? And I must confess that I have no idea what you're talking about in regards to that loader droid but it sounds adorable! I think it was probably because I rarely ever 'had' the opportunity to see it out in a patient manner, if that makes sense. The PuGs I did it with were often far too panicked to allow for any real appreciation of the mechanics, particularly when it came to M2. It was only when I did it with a group of friends and we did it all so evenly that I reversed my decision. It's still not one of my top 5 because of the PuG nightmares, but it's definitely one of my top 10! As for the loader droid; when you first enter the Flashpoint, walk to the other side of the plaza past three overworked droids, and there's a fourth hiding right against the wall beside (if I recall correctly) a Kolto Tank with a buff saying "Hiding from the foreman". Manaan is one of the best FPs, hands down. Challenging on HM with beautiful design. As you said, what's not to like! Manaan is by far my favourite [HARD] Flashpoint. It's everything that type of instance should be, IMHO. The thing I like best about it is that it is a very explicit mechanics-check without a bunch of RNG-based AE spam, unlike, say, Rishi's end-boss (that RNG-as-design-crutch is what holds Rishi back from being another truly great HM, which is sad, as all the other elements are there). Manaan proves that "Mechanics and precise execution of same >>>...> raw DPS" is a perfectly viable design-strategy. We need more like this!